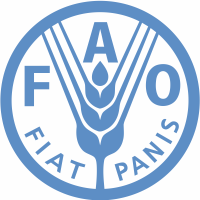 The Food and Agriculture Organization of the United Nations (FAO) is a specialized agency of the United Nations that leads international efforts to defeat hunger. Serving both developed and developing countries, FAO acts as a neutral forum where all nations meet as equals to negotiate agreements and debate policy. FAO is also a source of knowledge and information, and helps developing countries and countries in transition modernize and improve agriculture, forestry and fisheries practices, ensuring good nutrition and food security for all. Its Latin motto, fiat panis, translates into English as "let there be bread". As of 8 August 2008, FAO has 191 member states along with the European Union, Faroe Islands and Tokelau which are associate members.